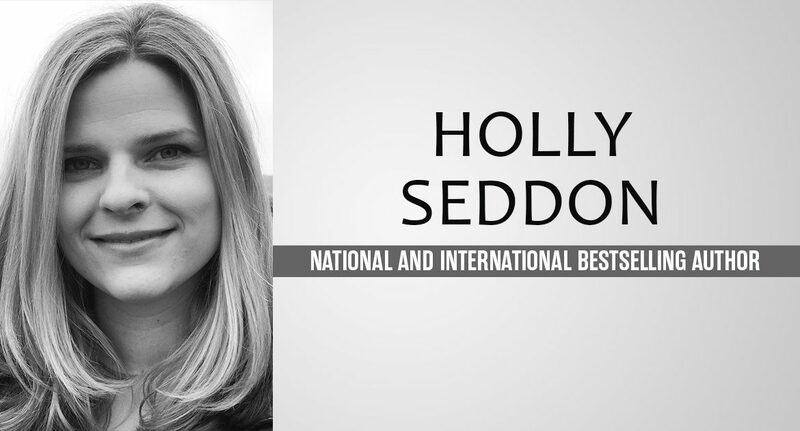 Holly Seddon is a national and international bestselling author, and one of the creators of the Honest Authors podcast, which aims to honestly answer the myriad of questions listeners have about the publishing process. Holly grew up in the English countryside but now lives in the heart of Amsterdam with her husband, children and pets. Outside of writing and family, my greatest passions are weightlifting, watching good TV of any genre (I hugely recommend Dark on Netflix, it was perfect!) and reading about history. I’m particularly obsessed with East Germany, but sadly haven’t found a way to work that into a novel. Yet! How has being a bestselling author changed things for you? There’s more pressure. I could lie and pretend there isn’t, but there is. A lot of it (probably most of it) is internal. Readers have certain expectations and I don’t just want to meet those expectations each time, I want to blow them away! That’s so difficult to answer. The first one – Try Not to Breathe – will always be special because it changed everything for me. But the novel I’m proudest of, the one that burns with my passion and my heart, is Love Will Tear Us Apart. It’s the most personal thing I’ve written. I feel the most vulnerable I’ve ever felt as an author, and the most connected to the characters. It sounds nuts, but I miss them. That’s SO hard. Okay, I’d take the time to do a little learning so I’d read The Penguin History of Modern Russia. I’d also take my massive compendium of Sherlock Holmes by Arthur Conan Doyle, which I basically only read at Christmas. And I’d take Dr Seuss – A Classic Treasury, because it reminds me of my children. You also co-run a podcast about being and becoming an author. Can you tell me a little about The Honest Authors Podcast and how the idea came about? Oh I love doing the Honest Authors Podcast! It sprung out of the WhatsApp conversations I was having with my friend and fellow author, Gillian McAllister. When we first met, I’d had one book published and she was yet to be published and we had so many questions. A lot of the time, as an author, you dare not ask things of publishers or other authors in the worry that if people think you’re a novice, they’ll take everything away from you or reject your books! It’s not true, it really isn’t. If anything people love debut authors more than any others, but it feels like such a tender time. So we made the assumption that we weren’t the only ones feeling that way. We talk pretty openly about the realities of being published traditionally, managing the editing and writing process and trying to combat both short and long term anxieties about this strange and wonderful life. We also try to give practical advice, discuss publishing news and interview some brilliant authors too. The best thing about it for me, is that Gilly has become one of my very best friends. Let’s talk about your new book, Love Will Tear Us Apart. I absolutely love the premise! It’s so familiar to so many people and really resonates. How did you come up with the idea to use this as a story? Gosh, well. 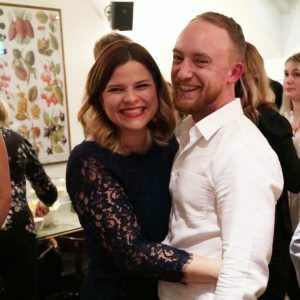 I’d had the idea for quite a while – childhood friends make a promise that if they’re not married by the time they’re thirty, they’ll marry each other. It was the plot around that that changed over time. I actually had this idea before Try Not to Breathe, and I wrote one disastrous chapter of what was then called Chick Lit. It’s not my natural genre and it showed. When I came back to the idea, I realised what was interesting wasn’t so much the making of that promise – so many of us have done the same – but the realities of a marriage that starts that way. That’s when it clicked for me. I would write the present day scenes in the run up to that couple’s ten year anniversary, and the past would show how this all came about. You said this book is particularly special and personal to you. Did you, too, make a childhood vow similar to Kate and Paul’s? Ha, I think I did but it’s not really stuck in my head and certainly hasn’t come true! But like Kate and Paul, I did grow up in the south west of England, in sleepy country towns and villages, dreaming of the future somewhere more exciting. And I gave a lot of my childhood experiences to the characters, also a few of the adult ones. Not many of them good! What actress and actor would you cast to play Kate and Paul in Love Will Tear Us Apart? Kate is a tall red head so Karen Gillan would be perfect! She’s young enough to play the early adulthood and flexible enough to play forty-year-old Kate. For Paul, I think Ben Whishaw would be amazing. 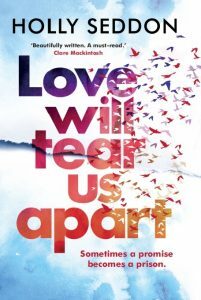 What do you think readers will love about Love Will Tear Us Apart? The honesty. I still find it hard to talk up my own work, but I think that it’s a portrayal of marriage and friendship that people will recognise and feel strongly about. And I think the childhood and teenage years will resonate with anyone who wasn’t the most popular in school! I really loved writing about childhood and adolescence in the 1980s, the freedom and the fear. And the music, of course! The first book of yours I read was Try Not To Breathe and I was completely blown away. I think a lot of the appeal of your books is how realistic your characters are. Where do you find inspiration and how do you create such compelling characters? Thank you so much, that’s really kind. It’s hard to say exactly, a kind of weird alchemy! I don’t base characters on real people but I sometimes hear a conversation in the street or a turn of phrase and imagine a character saying it. Sometimes they come fully formed like Robin from Don’t Close Your Eyes and Alex Dale from Try Not to Breathe, and sometimes they take a while to get to know, and get right. I use Spotify playlists to think about what songs they would like, and I sometimes create mood boards of how they might look on Pinterest. But with Kate and Paul, I just knew them. I knew them as children and as adults, I feel like I’ve known them my whole life. It’s pretty hard to explain, and I don’t think I’ll ever get that lucky again! Did you choose the book title because of the song (and its lyrics) by Joy Division? There are so many pop culture references, especially related to music in this book. Initially the book was called The Vow. I loved that title but it does sound very thrillery and while the novel is definitely tense and, I hope, suspenseful, it is not a pure thriller. We brainstormed a lot but Love Will Tear Us Apart was in one of the first bundles of names I’d considered. When one of my best friends then suggested it again (I was crowdsourcing ideas! ), it made it feel all the more solid. I love the Joy Division song and I do think the name fits so well, while telling a very different story to the one the song tells. I just hope Joy Division fans don’t mind. I’m a little younger than Paul and Kate who were born in 1972 whereas I was born in 1980, but I did borrow from my childhood a lot. In fact, when I was the age they are at the start of the book, I lived in Castle Cary, Somerset, which is their nearest town. I did a lot of research in terms of making sure the dates were right and the chronology of news events, but an enormous amount was from memory. Especially memories of feelings, memories of national mood and just memories of the fear and thrill of an eighties childhood without all eyes on us all of the time! Sometimes a promise becomes a prison. Fearing eternal singledom, childhood friends Kate and Paul make the age-old vow that if they don’t find love by thirty, they will marry each other. Years later, with the deadline of their 30th birthdays approaching, the unlikely couple decide to keep their teenage promise. After all, they are such good friends. Surely that’s enough to make a marriage? Now, on the eve of their 10th wedding anniversary, they will discover that love between men and women is more complex, and more precarious, than they could ever have imagined. But as Kate struggles with a secret that reaches far into their past, will the couple’s vow become the very thing that threatens their future?